Looks like Guns N&apos; Roses won&apos;t be the only 80s throwback act at Coachella this year, as an N.W.A reunion seems to be in the works for the music fest. Ice Cube is scheduled to perform solo both weekends of the festival in Indio this April, but during an appearance on The Talk—of all places—he dropped the news that he plans to reunite the legendary hip hop group. Cube can barely contain his excitement as he spills the beans on the daytime talk show, "I&apos;ve got some tricks up my sleeve." "I&apos;m gonna try to bring the members of N.W.A together," Cube continues, adding that he would like to "give everybody a little history lesson on Ice Cube and N.W.A, Westside Connection, everything I&apos;ve been doing over the years." While N.W.A broke up in 1991 and Eazy-E died in 1995, the recent release of the Straight Outta Compton biopic has added fuel to rumors of a reunion with surviving members. 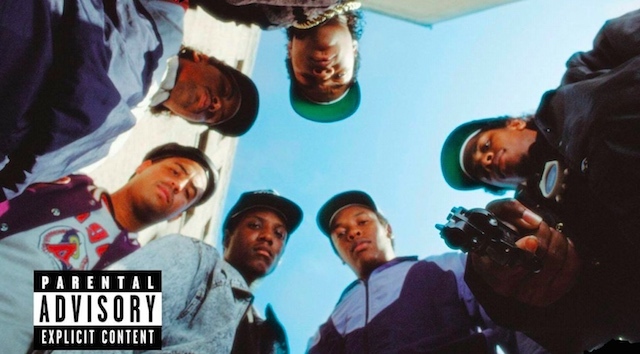 This summer, Cube reunited with former N.W.A members DJ Yella and MC Ren for a performance at the B.E.T. Experience. And, as Consequence of Sound points out, with N.W.A set to be inducted into the Rock And Roll Hall of Fame on April 8, Dr. Dre may be compelled to join the rest of the crew on stage once again. Ice Cube also promises "some great visuals" for the Coachella appearance, which we have a sneaking suspicion might include the hologram of Eazy-E. But we&apos;ll just have to wait and see.